This last weekend I had the honor of being one of the coaches at the BRAC women's Cyclocross clinic. Some of the women had a bit of CX experience but we had many newbies. I find it very inspiring and exciting to be around people new to this sport. It's easy to forget how fun, and intimidating, your first few seasons can be. I love to feed off their excitement and get back to the basics of really enjoying the awesome cx community. Lynn and Rebecca imparting their expertise on dismounts and remounts. We spent the day working on dismount/remounts, cornering, starts, barriers, riding off-camber and even a bit of curb hoping! The day ended with a quick mock race to practice some of the new skills and happy hour! As an added bonus, many of the women were out at the Rhyolite race the very next day! Thanks to Dierdre Moynihan, Tracy Yates, Colin Yates, Lynn Bush, Rebecca Gross, Kim Nordquist, Dierdre Garvey and Kimberly Nuffer for having me! Tagged with Blue Cycles, Runa, American Classic, BRAC, Foxtrot Wheel & Edge, Fluid Recovery, yogapod. September 14, 2015 by Kristal Boni. Sweet Sponsor Suite for 2015/16 CX Season! We are extremely excited to announce our partners for the 2015/16 cx season! First of all, Foxtrot Wheel & Edge is stepping up as our title sponsor, so we will now be RapidRacing prepared by Foxtrot Wheel & Edge. We are incredibly appreciative of JD and Dana's support and belief in us. We also want to welcome Wesley and ProBike Express. We've known Wesley for years and his service is incredible. We're psyched to formalize our relationship going forward! Rich from Fluid has been with us from the inception of our team and we really appreciate his continuing faith and enthusiasm! Plus, his Performance and Recovery products are the best we've tried. American Classic is another 'charter sponsor', as they've believed in us from the start as well. We continue to have success and reliable performance from all their wheels (10 pair on Boni bikes alone!) and love working with Ellen and Cody. Finally, we are very happy to have Runa and YogaPod returning for another year. We love their products and positioning and in both cases, feel like the more we have, the better off we'll be! July 11, 2015 by Kristal Boni. 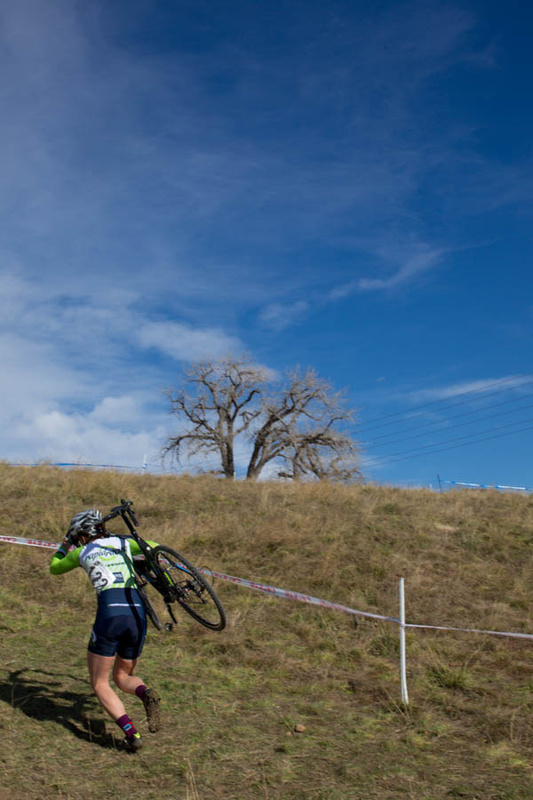 This weekend is the culmination of the Colorado 'cross racing season for 2014 with the State Championships in Castle Rock at Rhyolite Regional Park! Follow our Twitter feed: @rapid_racing or on Facebook for updates throughout the weekend! Unfortunately, Bard is out of town on work travel, but Carl will be manning the pits and trying to keep up with updates! December 12, 2014 by Kristal Boni. If you haven't seen it already, there's a great blog in Bicycling (http://www.bicycling.com/blogs/fitchick/be-your-personal-best) by Selene Yeager on maintaining perspective while racing. One particular line really resonated with me "It’s about handling adversity not just with power, but with grace." Two weeks ago, at the Schoolyard CX and Feedback Cup CX races, I witnessed actions by two of our local junior racers that have really stuck with me. One of them lost a pedal during his race--as in it actually fell off--but continued on, pedaling one-legged like he was doing some sort of crazy mid-race drills. The other got the hole shot then immediately washed out on a corner, nailing his knee on a rock and dropping his chain. Nonetheless, he stayed calm, ran to a wide spot then stopped to put his chain back on and finished the race, holding his knee and grimacing in pain. Both of these boys are usually found at the front of their races. These mishaps pushed them to the back of the field. Many of us may have just thrown in the towel at that point, waiting for 'another day', or maybe even gotten off our bikes and thrown a tantrum! These boys aren't even 10 years old, but calmly handled the situations with grace, setting an example for all of us. I love the fact that we've seen such growth in junior cycling as there are so many great lessons to learn: training, nutrition, commitment, dedication. But perhaps especially in cyclocross, where things can and will go wrong in a race, the greatest lesson may be overcoming adversity. When the inevitable malfunction occurs, whether mechanical or physical, will we throw in the towel and quit, throw a fit, or lash out at our fellow riders, or will we find a way around it and keep going like these boys did? They'll run into issues in 'real life' too--we all do--and they'll be better prepared for it now. I'm not trying to make cx a metaphor for life, or any more important than it is, but everything helps build the foundation for the future and you're never too old to learn. I feel like I got a reminder from these two boys that weekend. November 11, 2014 by Kristal Boni. This last weekend was a new experience for me, 3 days of CX racing! The event was held at The Ranch in Loveland and was truly well done. The amount of work put into the course, planning and overall involvement was some of the highest quality I've ever seen. Each day we raced on a slightly altered course and the changes definitely impacted the flow of the race. Earlier in the week we had received pretty heavy rainfall so I was anticipating some fun "crossy" conditions. The mud at this venue has received a reputation for being particularly sticky. Think instant adobe on your drivetrain. We arrived about 5:00 on Friday to get ready for that evenings race. Racing under the lights is always a cool experience and I was really looking forward to this. The course was well lit and we even had a delay because one of the light towers had blown out and they were driving cars out to shine their headlights! The promoters were on it! The course had dried out a bit during the day and provided lots of tacky mud for awesome corning and a nice mudpit by the pits. The entire night was full of cheering, smiling and just enjoying the moment. I even yelled at Carl as I went by the pits, "this is so fun"! Definitely one of my favorite races. Saturday started out foggy. We arrived at the venue around 7 to get ready for Nick's race (our son). The course was muddy from the moisture but by the time my race came around had dried out quite a bit. I had a decent warmup but had a bad start. I tried to battle my way up a bit but just didn't have much. I raced as hard as I could and was fairly satisfied with the out come. Day 3...New territory. Again we got to the venue early for Nick's race. The course wasn't as wet as Sat. but the area by the pit was still muddy. I really wasn't sure what to expect of this race but it turned out pretty ok. I had a better start and even moved up a few places. I am really happy with how I rode most of the technical stuff and the power sections. I felt way better then expected so all in all it was a good day. Racing with Ashley Zoerner, one of my fav juniors. Big kudos to the entire 1st City Mortgage team. You have raised the bar and created a very fun festival atmosphere with this event. Let's do it again next year! October 16, 2014 by Kristal Boni. This past weekend, Kristal, Carl, and Boups all had the opportunity to help out at BRAC's Junior CX Camp. 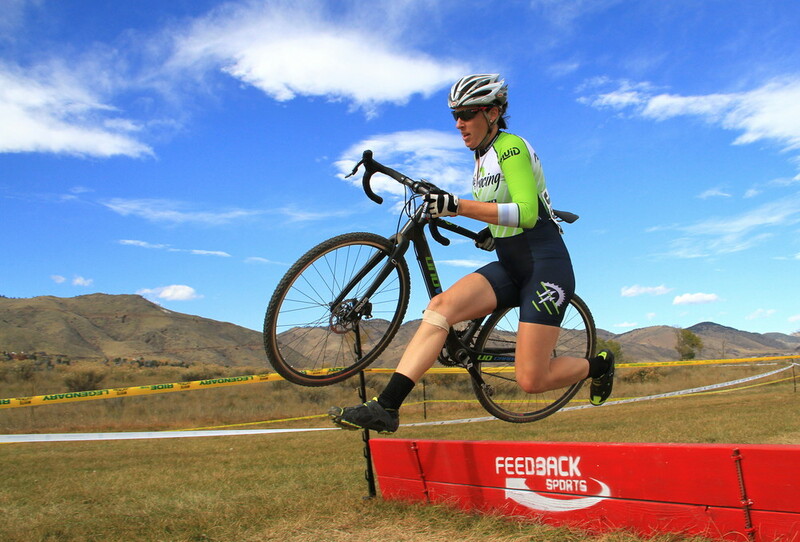 This is a full weekend in the mountains above Denver, practicing skills and teaching kids about cyclocross--what could be more cool!? This year's edition had nearly 140 kids attending, ranging in age from 6 to 16. That alone is testament to the popularity of cx in Colorado! As in past years, the main organizer was Deirdre Moynihan, who puts in countless hours organizing various cycling events through the year, but as a team dedicated to growing Women's and Junior cycling, this one is closest to our hearts. Carl coached the Rookie group, comprised of 7 kids who had very little experience with cx. It was awesome to watch their skills and confidence grow throughout the day, with two of them moving up at the lunch break and two more ready to do so by day's end. Kristal was paired with a large group of beginners and junior coach, Ashley Zoerner, helping her. Meanwhile, Boups was coaching the Advanced group--13 strong riders, including TWO National Champions! Saturday was spent working on cx specific skills--turning, barriers, braking, sand, climbing, and descending, as well as general riding on trails around the camp. Sunday was a practice race, with younger and beginner kids heading out first on the 2 mile course, followed by the advanced and older kids (and coaches), in a hotly contested event that eventually saw Boups finish in second (to a 16-yr old)! Nick and Cate also attended the camp and we saw a huge improvement in both of them in technical skills as well as general fitness over the weekend. In addition to participating as coaches, our team also sponsored in the form of a $500 donation as well as manning an aid station at the Denver Century ride this summer in order to secure an additional $500 donation from that organization. October 1, 2014 by Kristal Boni. Racing bikes is fun! As someone who is very new to bike racing (and bike riding in general), I was a little nervous going into my first cyclocross race. Over the spring and summer, I worked very hard to build the fitness that I knew it would take to survive a ‘cross race, but “mommy training” means a lot of trailer rides and trainer time. These don’t exactly translate into good bike handling. The being said, this was maybe the most fun I have had on a bike, EVER. The race start was a little intimidating, but luckily not many Cat 4 ladies wanted to brave the early, cold start and miles (okay, not really) of sand! Before I knew it we were off and riding. The first lap was a little scary and I had to work to control my heart rate (not really out of effort, but out of nervous excitement). Once we spread out a little bit, I felt much more comfortable. The course was hard and bumpy and there was a lot of “running” in the sand. Before I knew it, there was 1 lap to go and I hadn’t been lapped (goal accomplished)! I worked really hard to maintain my position and was excited (and shocked) to finish 5th in the race! By the time I was back at the car, I was already wondering which race I would do next. It was an absolutely amazing experience and I am incredibly excited for the rest of the season! Spectating 4 seasons of cyclocross gives you a good idea of what a course is kind of going to look like and luckily I have had some pretty cool people close to me racing and showing me how it is done. At the beginning of the season, I was not sure that I would want to be racing this course. Sure, everyone talks about how fun it is…but to me, there were some technical areas that I was not quite sure I could conquer. Maneuvering between trees with powdery sand and tree roots isn’t exactly something I see on the trainer often. For some reason, I decided to give it a go anyhow. Why not, right? The start of this race was a bit insane! There were 50+ women in my race and that meant lots of calls ups and starting WAY back. Yay being a newbie! When the whistle sounded, my large group of new friends and I raced up the first climb of the course. Climbing…on pavement…that’s my thing! I tried weaving my way around ladies (a little sketchy and scary!) and was in the upper half by the time we hit the dirt. Heart rate-HIGH…here comes the technical parts! There is a random log that most everyone else was able to ride over. My brain got the best of me and the flashbacks to people eating it over the log in previous seasons made me too tentative. I chose to run it and it cost me some time each lap (except the first! There were so many people there that I was able to run past quite a few), but I was able to gain most lost spots back on the upper straight section. I managed to stay upright for all 4 laps (WIN!) and even LOVED the giant mud puddle that was present in the second half of the course. Passing people was a little tougher on this course and I ended up getting stuck in traffic a few times, but in the end I finished 18th (about the top 1/3) and was really excited with that! I finished filthy dirty and with a giant smile! I had to fight my 15 month old for my Fluid Recovery drink after the race because she loves it so much! Can’t wait for the next race. September 24, 2014 by Kristal Boni. CX Cup and Boulder Cup. So Errin and I showed up for her race before the sun rose on Saturday morning. It definitely felt more like a “cross” day with the temperatures hovering around 32 degrees. The course is always a good one for me with not much elevation change and fast corners where I can carry more speed and use my bike handling. We were surprised to be presented with a course that had more sand sections than any other course in my past 3 years of racing. Good thing I’ve been running hills every week, I thought. Errin raced first and had a fantastic race taking the first Rapid Racing podium for the day in 3rd. Immediately afterward I went off from a first row starting position and stayed with the front group for the first lap. I was passed by a few people and ended up in the 1st chase group ending up taking 13th. It was a good race as I finally could push hard without my back gremlins bugging me. Off to the next day and Errin had another great race pushing hard the whole way taking 3rd behind some really fast juniors racing this weekend. I ended up in 22nd after a good race but suffering up the long climb after the front straight. The only place I was passed was on the way up this climb and then I would make up ground on the bike handling and flatter sections!! Guess I know what I need to work on!! It was a great weekend of racing and the fit and ease of putting on the Verge skin suits was awesome!! We were really happy to not have to do the skin suit awkward dance trying to put our arms in them. Off to the next race and improving every weekend!! It's CX Season!! Whoohoo! I'm really excited for our expanded team (up to 8 members!) and to see old friends again. With the new schedule this year, we are out allll day long. Our son Nick races at 9:00 and I go at 3:30. In between Cate "races" (it's not a race mom) around Noon. Unfortunately Carl is out for a bit with a knee injury so he is playing super teammate by pitting and cheering. However, since we are there all day we get to watch our teammates and friends race! While cheering on our teammate Colin, Cate snapped this shot of Errin. One of my favorite parts of the day, taking our Junior team, Cate, around in her Pre-J event. the Castlerock venue is always done well. John Haley puts so much work and love into the course and he nailed it again this year. Being the first race of the season I had a lot of cobwebs to shake out. My start was mediocre, I think I forgot how fast the start is! I didn't feel too bad on the runup (a bit of running in my training has paid off). I was racing pretty okay but I dropped my chain going into a little hill and had to stop to pull it back on. Then I dropped it again, but fortunately near the pit since it was really stuck and I had to run. So the race was a mixed bag, but a decent start to the season. Starting the season off with a bang! Other than States, this is the biggest weekend of local racing! I've been pretty nervous about this weekend since it was announced last year. I'm not on my A game this early and last year I had terrible races at these 2 events. However, I was hopeful that things would go better since I've been training more consistently with the help of my new coach, Grant Holicky. Saturday's race at the Boulder Res was pretty typical. A combo of bumpy grass and a lot of sand. Fortunately, over the course of the day the sand had become completely rideable. I had a decent start and was riding pretty well. On the 4th lap coming back onto the pavement my rear wheel came out of the drops and my brake rotor was bent so the wheel wouldn't turn. Sooo, I had a long run to the pits. Fortunately, I've been running a bit so it wasn't as awful as it could have been. But by the time I got to the pits, the leader was coming around so I knew I would finish up the last 1/2 lap and be done. I felt good but had unfortunate luck. Sunday took us to Valmont. The course was pretty much the same as last year which included a couple of steep ups and downs. This was the course that I suffered hard on last year so I had a score to settle. Again, I had a decent start and over all felt good, for early season. My result won't show it but I had fun and I'm getting back into the groove. This is one of my favorite venues. I did my first race here back in Dec of 2004 in a complete blizzard, so it holds a special place in my CX history. The course was very familiar but with the added bonus of very deep 150' long puddle going by the pits. The field was small but strong as ever. I had a good start and was right with the lead group hitting the dirt. My focus this week was on riding well and maintaining momentum. Our lead group of 5 established a bit of a gap. I was sitting in 5th and started to get gapped. I didn't put in the dig that I needed to on the paved hill on the 3rd lap and I lost the group (something to work on!). I maintained 5th for the rest race and was generally happy with how I felt/rode. Tagged with Runa, Fluid Recovery, Fluid Performance, Foxtrot Wheel & Edge, RapidRacing, Kristal Boni, American Classic, yogapod. September 21, 2014 by Kristal Boni. Opening weekend this season was the Kick It CX at Rhyolite Park in Castle Rock. There isn't anything too technical or intimidating about this course, so it was definitely a good place for me to shake off the summer rust and get racing again. I started second row, and was able to get through the first tricky turns without losing any ground. Once we hit the grass, I moved up several places as we approached the first run-up. After the run-up and steep drop, there's a long, winding climb up to the high point on the course, where I moved up into sixth or seventh place, right on the back of the lead group. At this point I was feeling strong, but I ran into a bit of bad luck in the sand pit. Most of the pack got through clean, but I got caught up in traffic in the sand, and couldn't quite ever catch back on to the leaders. Whatever good feelings I had as I completed the first lap faded quickly. I didn't feel like I was redlining, but as I tackled the steep run up for the second time, my legs got very heavy, and I spent the next three laps moving backwards. On the final lap I was able to give it some gas, and I picked up three or four spots, finishing right in the middle of the pack. Not a great day for me, unfortunately. Of the four or five times I've raced at the Res, this was the toughest course I've faced. Lots of sand as usual, but no clear lines through them early in the morning, so I spent a lot of time off the bike, running up and down the beach. I ended up right behind guys who stalled out/crashed in the same muddy ravine crossing two of the three times I went through it, crashing pretty hard myself the second time. From there I was feeling strong and steadily picking up places, but I flatted about halfway through the second lap, just past the pit, and ended up with a DNF. Better day than yesterday, despite a tough start getting taken out twice by other crashes at the bottom of each of the first two descents (feels like the theme of the weekend!). That pushed me from a third row call up to near the back of the pack in the first two or three minutes. From there my only goal was to ride hard and steady for the rest of the race, and take advantage of the opportunity to practice some trickier terrain at race pace. I moved up two or three spots per lap, and was happy with my ride. Just have to work on getting out in front early and avoid some of the messy traffic. 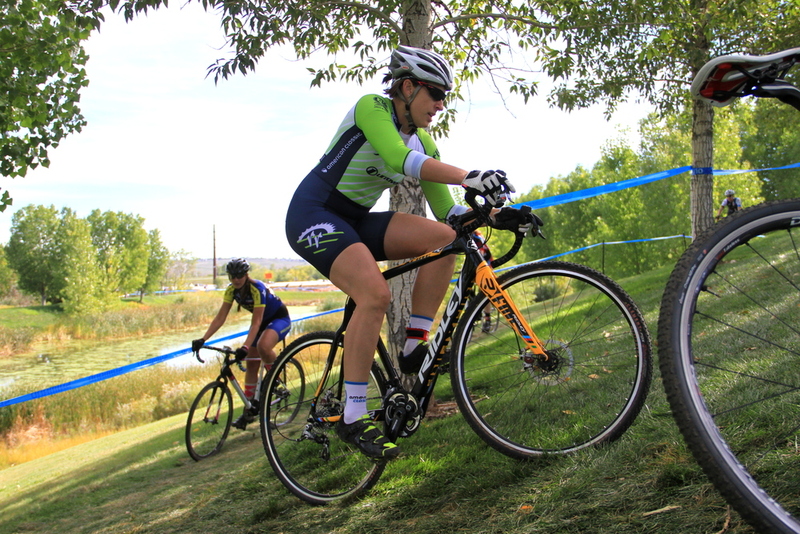 The 2014 Colorado cross season is now in full effect, with the first two weekends of racing already in the books; the first race on September 7th, followed the next weekend by two big races in Boulder. With dry courses and fresh legs, I have managed relatively decent results so far, mid-pack finishes in both 45+ and 35,3, qualifying as acceptable for me in cyclocross. I am coming into this season little sense of my cycling form. My riding has been fairly typical for me, including one quality day per week and the remainder consisting of bike commuting. After a relatively bad result in the Lookout Mountain Hill Climb in August, my only bike race of the spring/summer, I have come to realize and accept that I need more rest days as I get older, so I am now taking two days a week off the bike, doing easy jogging on the treadmill instead. Combining running with cycling to prepare for the triathlon season left my legs a little beat up, so I had to cut back on my already minimal running program to get right for cross season. At the first cross race in Castle Rock, last minute mechanical issues prior to the start of the race sent me straight to the pit for a bike swap on the first lap due to a loose shifter. Well off the back at that point and riding my old-school heavy aluminum frame “B” bike, I was grateful for the pit support from my wife with help from Kristal in getting my “A” carbon frame bike ready for the next lap. Unfortunately, the bumpy downhill sections on the otherwise fun course were too much for my poorly adjusted front derailer, and I dropped the chain on almost every lap, until on my 4th chain drop I gave up on the “A” bike and jogged it back to the pit for my “B” bike to finish the race. The following week at the Boulder Cup, I completed 58 minutes of racing without a mechanical, crash, or flat tire, which is fairly atypical for me in cyclocross. I am taking this weekend off due to off-the-bike commitments, but plan to be back in the game for the Flatirons race on September 28th, hopefully with my new Unovelo cross rig ready for action, having conceded that I need all the equipment advantages I can afford. I started my second season of cross with a little experience, a lot of expectations, and an awesome new team, Rapid Racing! What I did not have, however, was much time on the bike. First race of the season was a short TT on a super dry, bumpy course. Made the decision to ride a mountain bike and ended up winning the 4's, which was really exciting. The lack of bike training came back to bite me when the actual racing started, and I kind of muddled through the first part of the season mid pack. Toward the end of September a friend with a ton of race experience offered to help me out with my training, who was I to say no? Results gradually got a little better and then, boom, I came away with the win at the Colorado Cross Classic at the Boulder Res. I love that course and was so excited to get a win. Little did I know I would have the high point and low point of the early season on the same weekend. The next day started with a huge amount of excitement to race the Boulder Cup at Valmont. I knew the course would be tougher, but I had a ton of confidence from the prior day and rode 4th or 5th for most of the race. On the last lap, I ended up catching and passing 2 racers, but then got passed by one of them on the final climb. Managed to catch back on and rounded the last turn on her wheel prepared to sprint it out for third-unfortunately, my excitement exceeded my bike handling and I went down hard in front of about 2 dozen spectators. I was able to get back on the bike and finish 4th, but then ended up in urgent care for 5 stitches. After a 2 week training (but no racing) block, I was raring to go for the first Xlinx race, but ended up with a mediocre finish and a bit of frustration, and then more frustration the following week with another below-expectation finish. Then came the Blue Sky Cup, another race at one of my favorite venues. I tried to clear my mind of the past weekends disappointments and only focus on doing the best that I could. Was really pleased to get my legs back and finished 4th. Next weekend rolled around and it was time for the infamous Louisville Bowl of Death. Such a fun course, but so much harder than it looks. Pre rode the course and it hurt already, and I knew the high winds weren't going to help anything. Expectations were low, but after watching Kristal battle back from a mechanical, I knew I had to give it my all. The flat fast start suited me and I managed the hole shot which I somehow kept for the whole race! Win number 2!! Then came the good and bad email; "Congratulations, you have to upgrade." Yikes! The rest of the season racing as a 3 felt like starting all over again. Fast starts, faster girls, and much more competitive in general. Crashed lap one in my first race and ended up looking like I was pig wrestling instead of bike racing, but finished. Race 2 was a little better, but still felt like I was a bit over my head. States definitely felt like my best race of the year, not results wise, but I pushed hard, took chances, and rode the best I could. The end of the season was totally anti-climactic. Got some terrific training in over Christmas and New Years in preparation for Nationals, and then crashed pre-riding 2 days before my race and re-opened my knee injury. The knee was too swollen to pedal, let alone run stairs or remount, so I was a spectator instead. Disappointing, but definitely fueled the fire for next year. It was a massive learning year for me in every aspect—training, racing, bike handling, and injury management, and I still have so much to learn. Preparation for the 2014 cross season has started already! Love my Unovelo cross bike and thanks to Fluid and FRS for keeping me fueled and Runa for helping me wake up in the mornings this season! Huge thanks to Kristal and Carl for all of your advise on racing and technique as well as always enthusiastic cheering as I suffered. Thank you so much for inviting me to Rapid Racing and I promise I will be faster next year! Thanks also to Bard and Rob for the cheering and encouragement. Tagged with RapidRacing, Errin Vito, UnoVelo, Runa, FRS. February 14, 2014 by Kristal Boni.